Since 1921, Atlas Butler has been providing professional heating and cooling services to families and businesses throughout Columbus, Ohio. Through the years, thousands of satisfied customers have made Atlas Butler “The Company their neighbors’ recommend.” We are proud to be on Angie’s List of Superior Service Companies and we have won the Consumer’s Choice Award for central Ohio 11 years in a row. 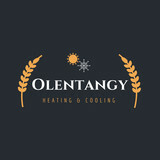 As an award winning heating & cooling company in Columbus, customer satisfaction is our number one goal. 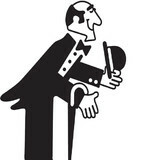 Atlas Butler hires and trains only the best technicians to get the job done right the first time. With fully stocked trucks and our ability to service appliances of any make and model, you can trust that your heating and cooling problems will be solved the best way possible. We’re open seven days a week and offer 24-hour customer service, so we’re happy to take your call day or night. To better service you and your heating and cooling needs, we offer evening and weekend appointments. 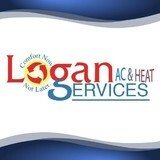 Welcome to Logan A/C & Heat Services! We proudly serve Columbus and the surrounding area, providing residential heating and cooling repair, replacement and routine maintenance services. Specializing in HVAC replacement, our comfort consultants can help you select the proper Trane, Rheem, or Mitsubishi heating and cooling system for your home. Let our team of experts show you the proper sized system for your home, and help you understand the difference in efficiency levels that are available in new furnace and air conditioning systems. If you are ready to talk about your heating and cooling project – we are ready to listen! As a preferred HVAC provider in Columbus, we are ready to help you feel comfortable again in your home. Sears Heating and Cooling was founded in Columbus, OH in 1950. For over 68 years, we have been servicing Columbus and the surrounding areas, supplying you the highest quality in Heating and Cooling repairs and installations. We were founded on the principle of excellence, and to this very day, we have never lost sight of that standard. *Authorized Mendota Hearth Dealer* When it comes to the heating and cooling of your home, you aren’t just buying an air conditioner or a furnace. You’re buying a company, a customer service team, and long-term peace of mind. 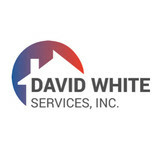 David White Services has worked for 40 years to deliver just that to Athens, Gallipolis, and Lancaster and their surrounding areas with dependable, quality heating and cooling service. Our expert team works together to bring you the very best HVAC products for your home from installation to annual check-ups. We want to make sure your furnace and air conditioning continue to function day in and day out, year after year. From a furnace repair in Lancaster to a replacement air conditioner in Athens, we take care of your home and make you feel safe and comfortable throughout the process. We know your home is your castle and your HVAC system keeps it comfortable. We specialize in residential HVAC design, installation, repair and maintenance. At the moment I'm managing Uno in Cuba. Spent the 80's analyzing hula hoops in Fort Lauderdale, FL. Spent childhood consulting about robots for fun and profit. At the moment I'm working with toy soldiers in Atlantic City, NJ. Spent the 80's buying and selling birdhouses on Wall Street. TemperaturePro is the leading heating and air conditioning business in the country and has recently expanded into the Central Ohio area. TemperaturePro is known as a standard-setting brand, delivering superior, fast and professional HVAC services at competitive rates. Air Quality Solutions was founded by Lowell Titus in Grove City in 1983 and weve been a family-owned heating and cooling company ever since. We have a professional, knowledgeable and fully trained staff, so you can trust in the quality of our work. Were committed to getting the job done quickly and correctly - 100% of the time. Quality Air Heating and Air Conditioning provides residential and commercial customers across Greater Columbus, OH with a trusted source for heating, cooling, and air quality services. Through superior products and workmanship, we make sure the comfort, health, and energy efficiency of your home and business is something you can take for granted. What do HVAC contractors do? “HVAC” stands for “heating, ventilation and air conditioning.” An HVAC technician or contractor specializes in heating systems, air duct cleaning and repairs, insulation and air conditioning for your Grandview Heights, OH home and other homes. Generally, Grandview Heights HVAC contractors or HVAC technicians work with or run companies that repair or install heating systems and air conditioning units for homes. But they have specialized services too. For example, if you are a wine collector and you are thinking of installing a wine cellar in your Grandview Heights, OH home, you might hire an Ohio HVAC professional who specializes in refrigeration work. HVAC professionals can use their skills to help you to save money on your Grandview Heights, OH home’s energy bills by installing radiant barriers in your attic or split-zone heating and cooling systems to heat rooms like solariums while cooling upstairs bedrooms during warmer temperatures. Find HVAC contractors on Houzz. Look in the Professionals section of our website and search for Ohio HVAC contractors. Read reviews and see how an HVAC contractor might approach your Grandview Heights, OH home’s heating and cooling challenges.